List of videogame PR / Comms. Agencies and Freelancers. Monument Valley is a puzzle game developed and published by indie studio ustwo. 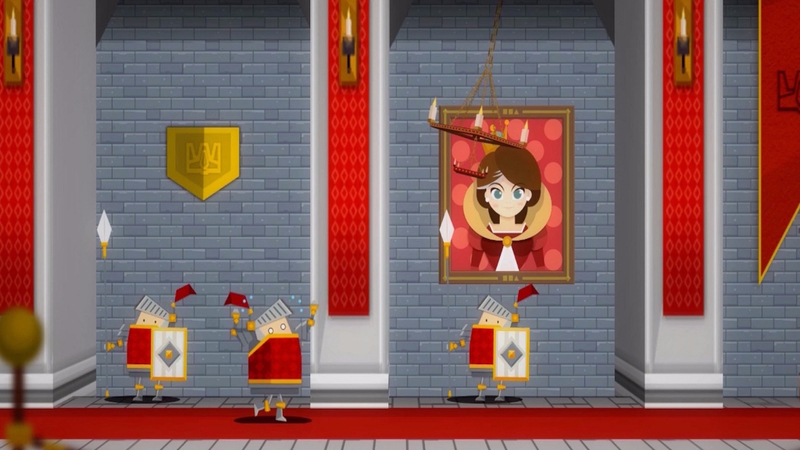 The player leads the princess Ida through mazes of optical illusions and impossible objects. Monument Valley was developed over ten months beginning in early 2013 based on concept drawings by company artist Ken Wong. Its visual style was inspired by Japanese prints, minimalist sculpture, and indie games Windosill, Fez, and Sword & Sworcery, and was compared by critics to M. C. Escher drawings and Echochrome. The art was designed such that each frame would be worthy of public display. 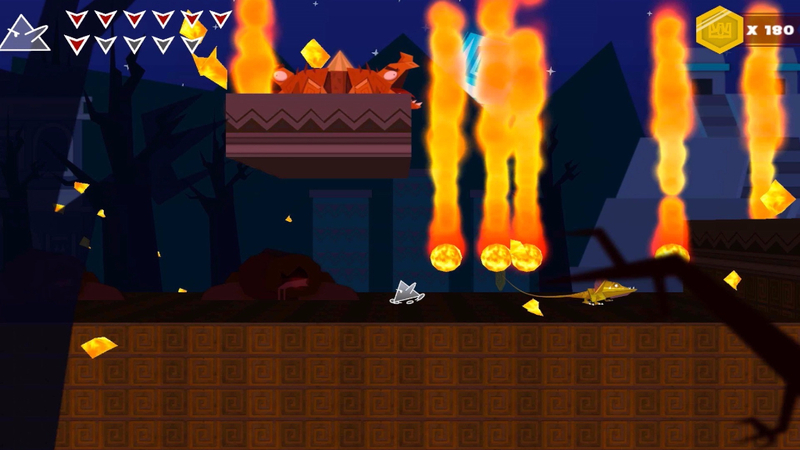 After a closed beta test, it was released for iOS on April 3, 2014, and was later ported to Android and Windows Phone. The game received generally favorable reviews. Critics praised its art and sound design, but noted its lack of difficulty and short length. 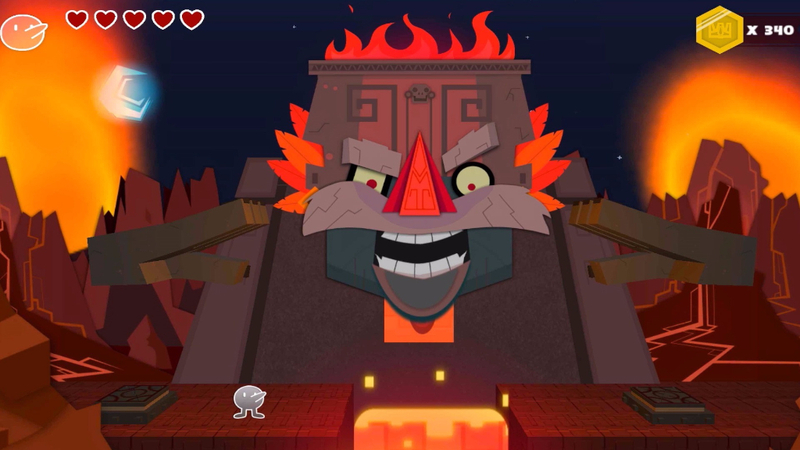 It won a 2014 Apple Design Award, was named Apple’s best iPad game of 2014, and sold over two million copies by January 2015. During April of 2014 I did PR work for Ustwo games, supporting the launch of Monument Valley in Spain, Portugal and Latin America. A platformer with physics-based puzzles set in an scandinavian-inspired fantasy world that you can shape with your own hands. When Max wishes for his annoying little brother, Felix, to be whisked away by unknown evil forces, he gets more than he bargained for. Armed only with a magic marker and a hope of undoing what he has just done, he sets out on a perilous journey across deserts, eerie lantern-lit bogs, ancient temples and lush green forests to get his younger sibling back. Fortunately, the Magic Marker has the power to bend the elements and create magic objects that can help him on his quest. Join Max on the greatest adventure of his life! 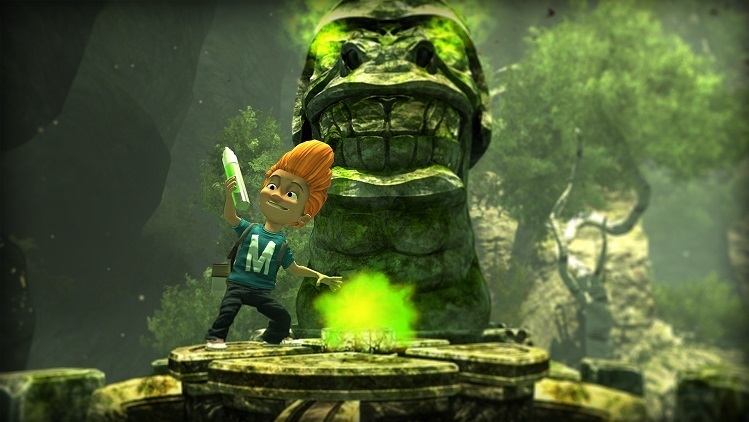 Max: The Curse of Brotherhood has been widely acclaimed by critics and players on its versions for PC and XBOX One. 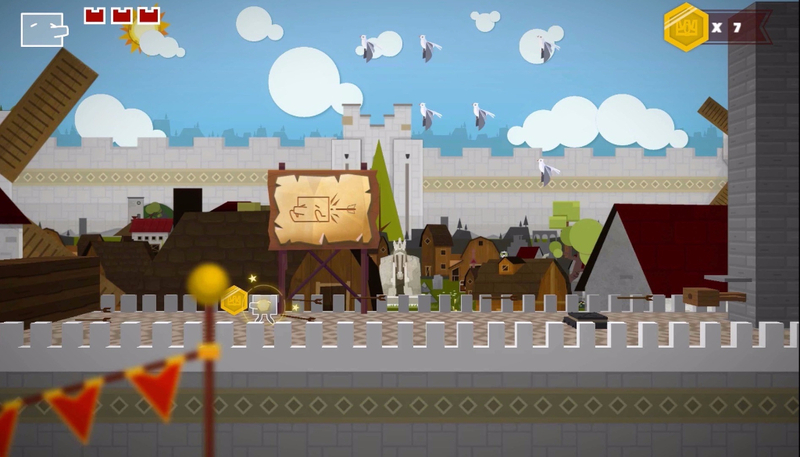 This Nintendo Switch version has a new touch-based control scheme that will let the player to directly draw on screen, improving the precision and agility of the gameplay as in any other previous version of the game. The new touch-based control scheme will let the player to directly draw on screen shaping the environment, improving the precision and agility of the gameplay as never before. A heartwarming Scandinavian story of monsters, magic and brotherly love. 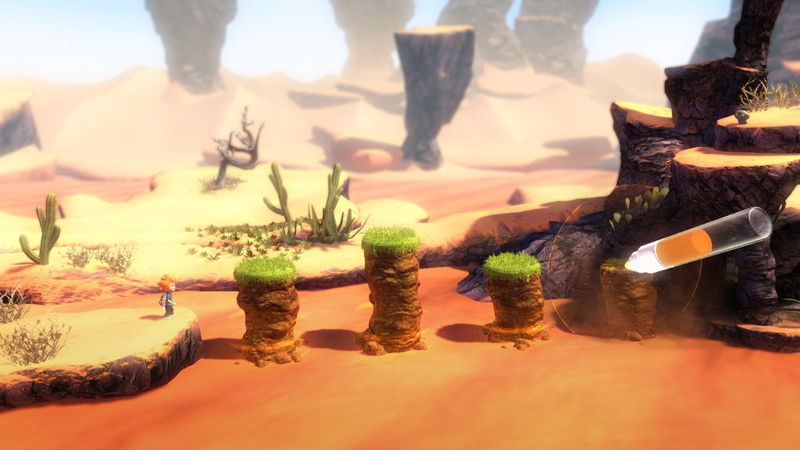 Make your way through a stunningly beautiful world with handcrafted levels. From ancient temples to lush-green-forests. Use your own hands to shape the environment to your will with the power of the Magic Marker to overcome obstacles and beat your enemies. 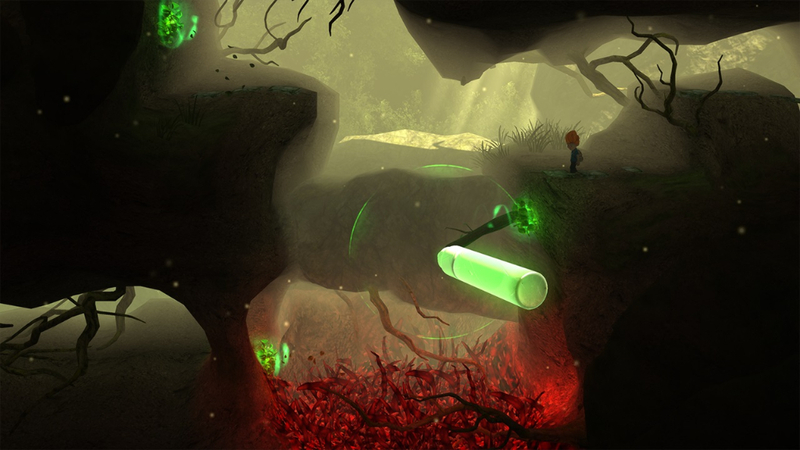 Run, jump, climb, draw and swing through Anotherworld in a frantic platformer. Carry on press and youtuber relations (including negotiating sponsored videos). Planify and design press releases. 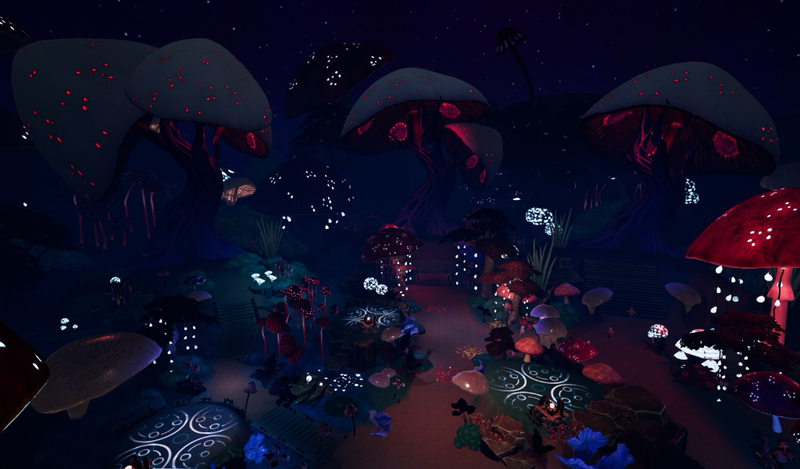 A TOWER DEFENSE STRATEGY GAME DESIGNED FROM GROUND UP FOR VIRTUAL REALITY. 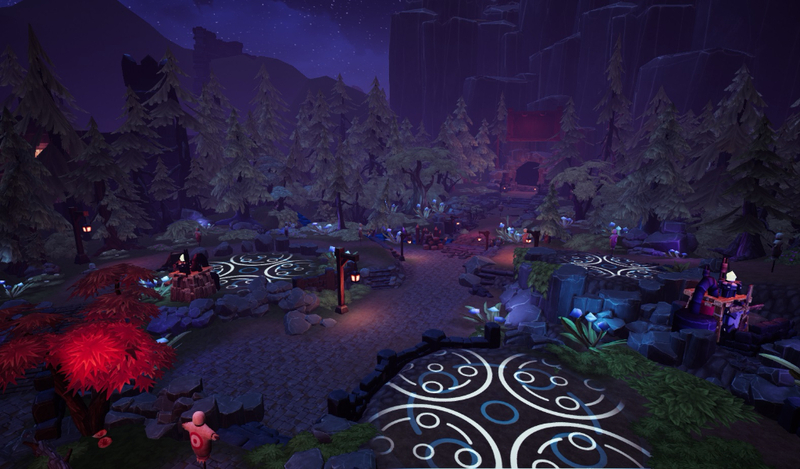 TreeView Studio’s Alchemist Defender VR is a tower defense strategy game designed from ground up for Virtual Reality. 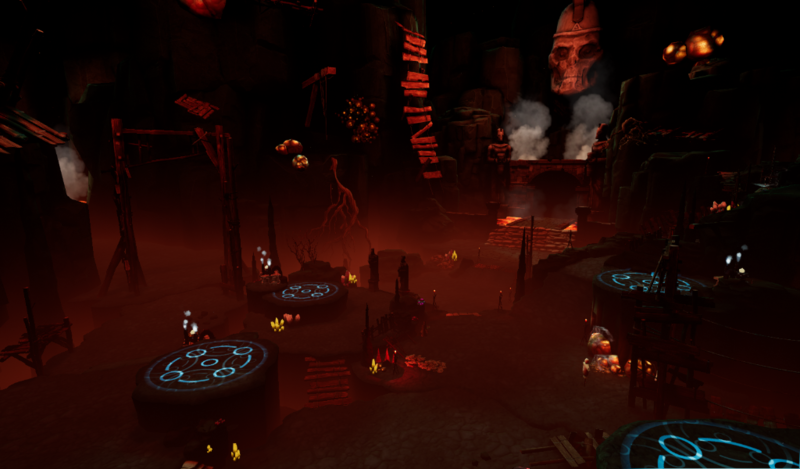 The game balances VR tower defense mechanics with intense first person combat using melee and ranged weapons. Take on the role of a Master Alchemist who after years of researching and crafting tools to find the Philosopher’s Stone, has invented a portal to new worlds. The energy of those lands will fuel your final journey to reach the Stone. To your surprise you are confronted by a rebellion in each world you plan to consume. Now in the midst of glory only a final resistance stands between the Alchemist and absolute power. Will you be able to stand your ground and dominate those who resist? 4 full featured levels, each one composed of 10 waves, each one crazier than the other and multiple enemy classes per level. Three sets of relocatable Defense Turrets: Fast Cannon, Frost and Mortar. Melee first-person combat using: War Hammer, Spiked Mace, Chain Flail and Ice Sword. Ranged first-person combat using Musketoon style firing arm, Explosive Crossbow, Grenade Launcher and Chem Thrower. Proximity mine power weapons including explosive blast, chemical shock, ice shot and void hole. Playstesting and giving product feedback. Horizon Chase Turbo is a homage to classic 16-bit racers that defined a generation of high-speed and frenetic arcade fun like Out Run and Top Gear. The game is conceived to ignite an instant blast of nostalgia with catchy contemporary music composed by the legendary Barry Leitch (who also created the soundtracks for the Top Gear, Lotus, and Rush series), while also offering split-screen multiplayer and mixing retro low-poly aesthetics with modern gameplay. New on Xbox One and Nintendo Switch: Playground mode, a brand new car, custom paint jobs, and 6 exclusive car skins on each platform. Design and develop social media strategies and promotions. Carry on press relations campaigns with press and influencers, both digital and at events. Coordinate with the producer, Marketing and Commercial directors to shape the best marketing strategy for the game. Carry on press relations (events, sites and youtubers). Coordinate with the audiovisual production / graphic design team to craft the best marketing assets the promotion of the game. Work hand in hand with the studio Game Master to keep the community informed about the latest news and collect and filter the most valuable feedback. Melbits world is one part Tamagotchi, one part Lemmings, and equal parts addictive and hilarious to play. Enjoy this cooperative puzzle game that challenges players and up to three friends to work together and with the Melbits as they journey through several dozen fun, exciting and challenging levels. Friends and family will work together to coordinate and time the perfect moves. Melbits World is the embodiment of “easy to learn, hard to master”. The beings responsible for keeping the good vibes on the Internet. Melbits are cheerful creatures that live inside everything that is connected: phones, tablets, PC´s, consoles. Melbits’ mission is to keep the Internet’s good vibes so it can keep on working. 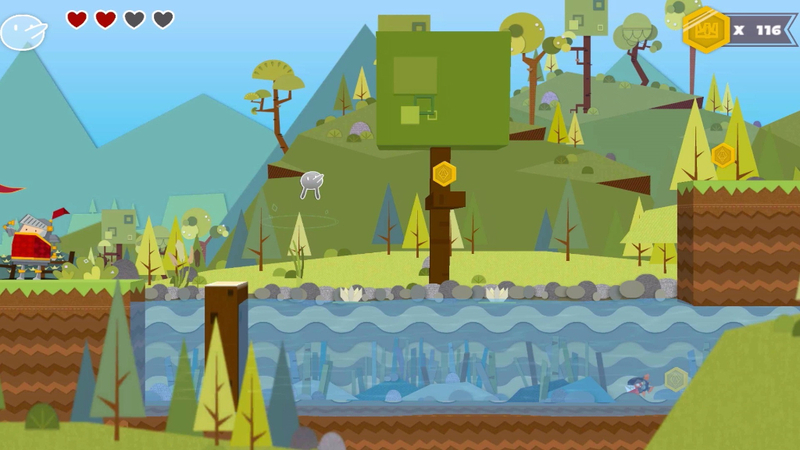 Melbits neutralize the evil viruses that cause everything digital to malfunction. Since the Internet needs more Melbits than ever, it’s the players’ duty to grow the small community that lives inside their PS4! The most accessible fun – turning your cell phone into a PS4 controller. Using the official PlayLink app for Android or iOS, you’ll boot up your smartphone to manipulate switches, barriers, trampolines and all kind of artifacts that will help you guide these lovely little creatures back home. The controls are simple, fun, and a blast to use for gamers of all ages and experience levels. Design and develop social media strategies and promotions (Facebook, Twitter and Instagram). Press relations in LATAM and Europe. Influencer campaigns management in USA, LATAM and Europe. Coordinate promotions with the press, influencers and fans. Discover the beautiful world of Nihilumbra and join Born on his adventure to find himself whilst trying to escape from his inevitable curse. Born was created from the absolute nothingness: The Void. But somehow he separates himself from the black emptiness and appears in the world. Design and develop social media strategies and promotions (Facebook, Twitter and Google+). Writing blog posts about the studio projects, team members inteviews and news on the indie scene . Press relations (online – sites and youtubers / event showcasing at Gamelab 2014 and SBGames 2013). Planify and design press releases (Mailchimp, Photoshop, Adobe InDesign). Coordinate promotions with the press, youtubers and fans. 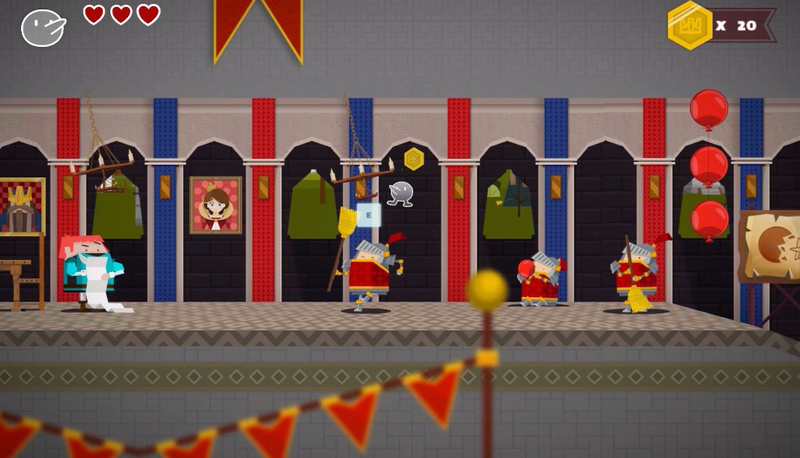 Flat Kingdom is filled with fun platforming action, puzzles and some Metroidvania elements. It also features a unique combat system! Instead of directly attacking your foes, you’ll have to touch them while transformed in the correct shape to beat them! Kinda like a rock-paper-scissor game. Every shape in Flat Kingdom beats the opposite, so sharp triangles can defeat the soft circles, heavy squares beat the fragile triangles and squishy circles can triumph over the slow squares. Both enemies and puzzles can be beaten using the correct shape and strategy, so you’ll have to observe them and come up with the best solution. You can also learn new abilities along the way that will help you solve even more puzzles, beat enemies faster and reach new areas that were inaccessible to you before! Carry on press relations (events, sites and streamers / youtubers). 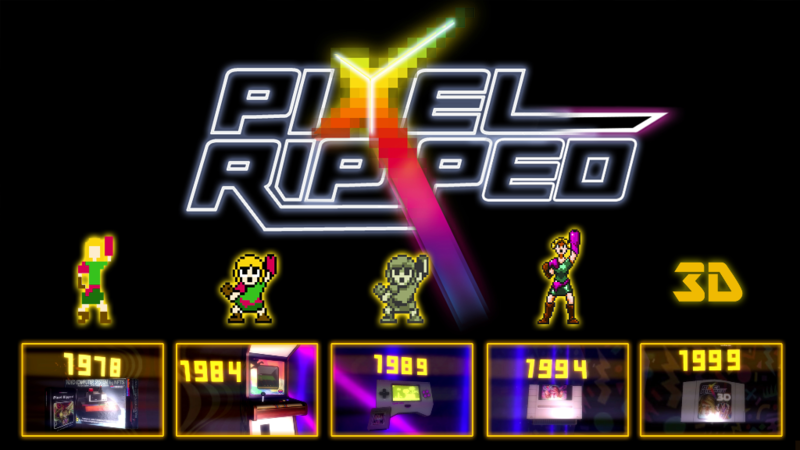 Follow the life of computer gaming addict Nicola as she battles through the ages to play her favourite game Pixel Ripped. 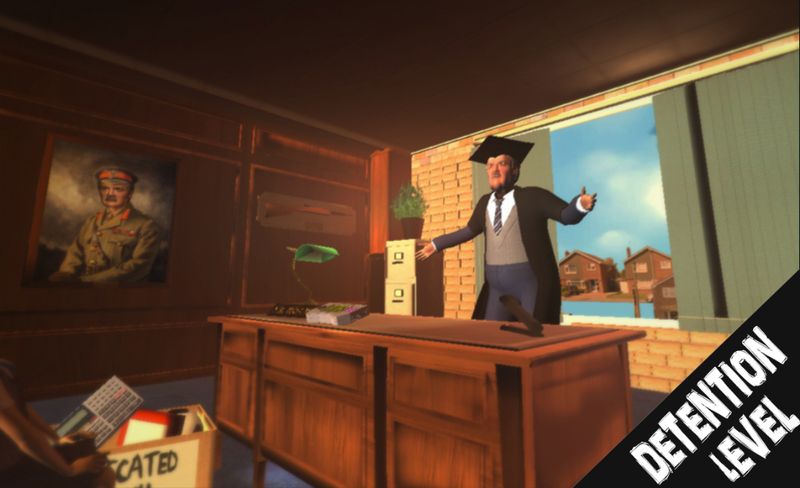 Starting with 1989, Pixel Ripped takes you on an adventure to a school classroom, where you must complete your favourite video game – but don’t get caught by the teacher! Nicola incarnates Dot, our heroine, in a very special quest: The Pixel Ripped is a magical stone that contains the soul of Dot’s world, Adventureland, which has been stolen by the Cyblin Master. The evil Master is using its powers to open a portal between real world and games from different generations in order to bring Robots from different worlds to control the population. 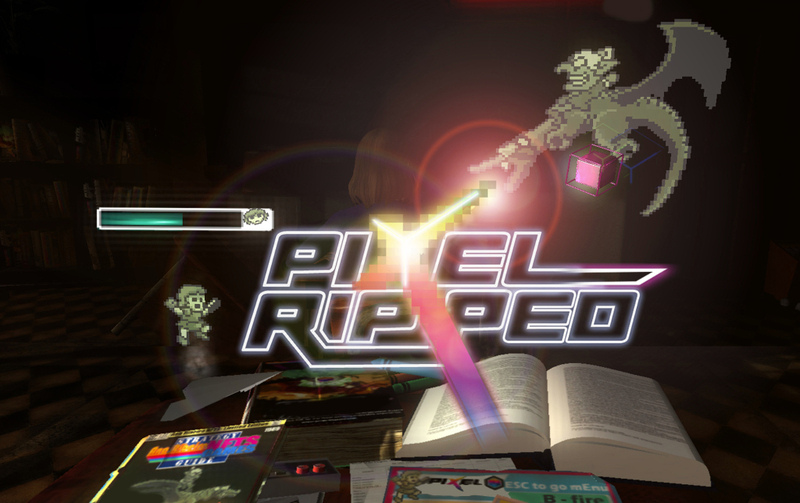 Be ready to “think 4th dimensionally” if you want to beat Pixel Ripped! Prepare to face a metagaming world full of surprises and tons of throwbacks! A game within a game, Pixel Ripped is original, fun and packed full of surprises that will keep you guessing along the way. From the floor of 1970’s living room where you will be playing the first home gaming console, all the way up to the turn of the millennium. You’ll be treated to 2D sprites of the 70s to the bright and colourful 3D graphics of the 90s, Pixel Ripped truly is a nostalgic and mad trip down memory lane. 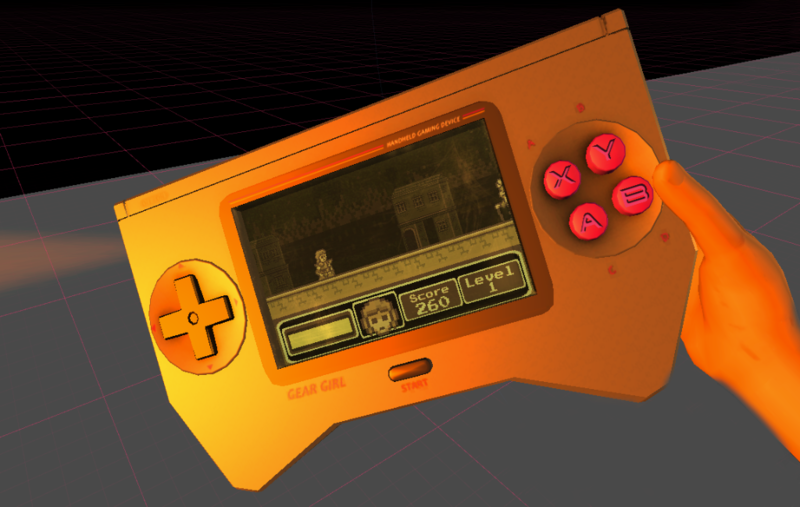 Geek out searching for hidden retro-easter eggs as you fight the mundane distractions of life so that you can get down to what’s most important – gaming! 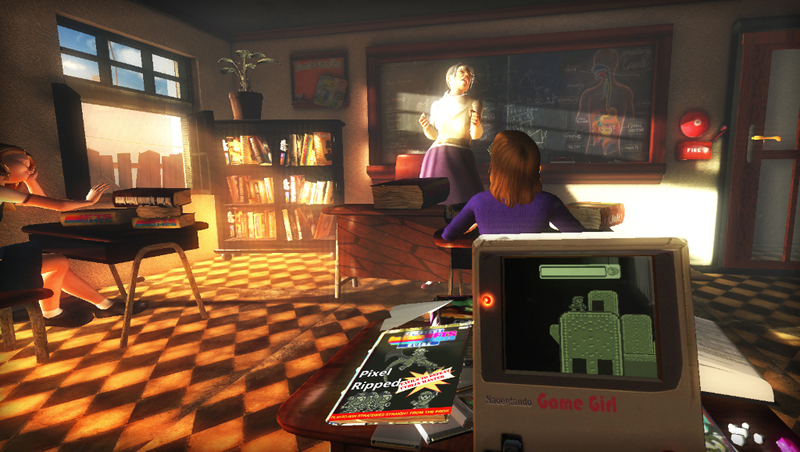 Pixel Ripped 1989 – the 80’s classroom adventure will be released on Oculus Rift early 2016, and followed on other platforms soon after. 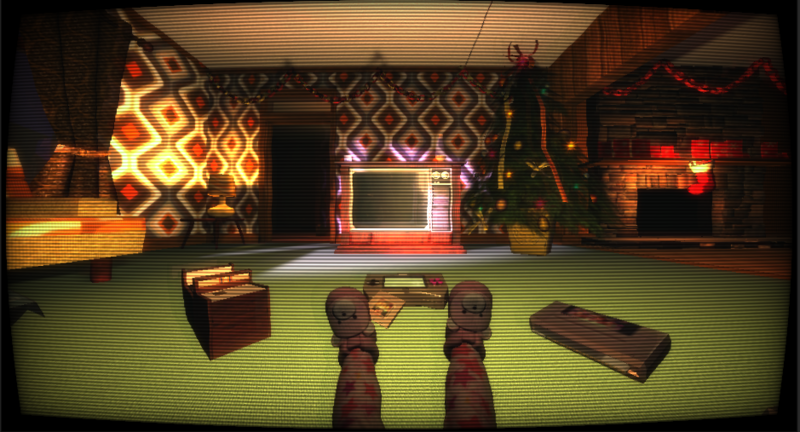 Pixel Ripped 1979 and 1984- will be the next installments coming your way in 2016. So get ready to get groovy, bodacious and totally unprecedented! Plug In Digital offers Worldwide distribution, business development and publishing (includingfunding alternatives) to independent game developers since 2015. I partnered with them scouting mainly for independent games in the Spanish and Portuguese speaking markets. Attend most events from LatAm, Spain and Portugal and meet potential studios to partner with,learning their needs and how the PID / Playdius can help them. Play soccer with SUPERCHARGED cars with real-time matches live around the world! Supercharged: Championship is the of our fascination by the magical combination between car and soccer, so we decided to bring our own formula to the mobile audience. It is designed as a free to play real-time PvP game cross iOS and Android. We want to bring all the competitiveness by allowing players matching up with friends in a casual match or a tournament, winning rewards, collecting and customizing their Supercharged cars, and more. Supercharged: Championship emerged from the growing trend of competitive gaming and the demand for such games on mobile platforms. We want to bring our own formula of car soccer gameplay to the mobile audience. We started with a quick prototype, yet it got a lot of interests and fans, so we discovered we were not alone in our passion for the genre. But doing real-time PvP on mobile devices is not easy. Those little machines, as powerful as they are today, still have limits in supporting complex real-time calculation as well as proper input feedbacks on a touchscreen. We spent a lot of hard work on the technology and infrastructure, and a lot of thoughts into optimizing the overall game experience to make it competitive ready. Fill your garage with a variety of collectible cars and trails! Find and challenge players around the world, anytime, anywhere! Become a legend in career mode or pair up with your friends to create your own team! 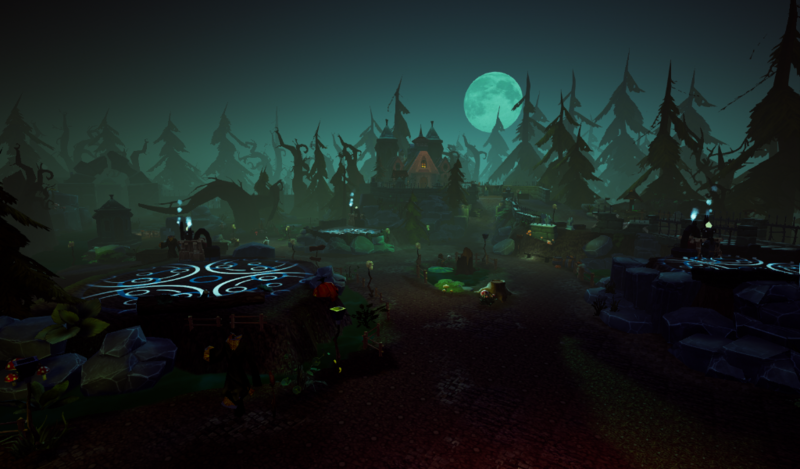 Keep up with the seasonal events & tournaments, and RANK-UP to be a World Champion, and earn ultimate glory. Team up with your friends, or against them! Play with up to 6 players together in real time! Meet players around the world and chat in-game or in the Supercharged Discord server! Creating a Public Relations (press and influencers) and Social Media strategy that fits with the stage of the development of the project. Help to strengthen relationship with Apple and Google stores curators/developer relationship managers in Latin America. Forums and Discord management and moderation. Testing and product analysis feedback. Social Media Management work on Facebook, Twitter, Instagram and Snapchat (to be considered due to its popularity among teenager audiences). Organize and engage with players in competitions. Coordinate a team of helpers/mods on the official community channels. Crashed and alone on a world mankind tried to leave behind, Darkout challenges players to survive on Illuna, in harsh, procedurally generated biomes, utilizing the game’s sandbox features to build shelters, craft weapons, and research new technologies. You are not alone. Design and develop social media strategies and promotions (Facebook, Twitter and Pinterest, now renamed to Allgraf Studios.). Game forums moderation and administration (Xenforo: www.darkoutgame.net). Press relations (online – sites and youtubers / event showcasing). Press releases planification and design (Mailchimp, Photoshop 5, Adobe InDesign). Testing team management and livestreaming co-host. Crowdfunding campaign design and promotion on IndieGogo: 107% overfunded. Ballistic Overkill is a fast paced PvP shooter. Easy pick up and play, no complicated setups or rules: it’s kill or be killed! Select a role from one of the unique game characters, each with their own skill tree and weapon arsenal. On the full game you’ll be able to level up to unlock additional loadouts and weapon skins to show off your experience with it. Mercenaries are designed to compliment each other’s skills, but each is fully capable of delivering insane frags on the battlefield: no wimpy support classes, in Ballistic everyone is a killer! Carry on press relations (sites and youtubers). Coordinate with Producers, Marketing and Commercial directors to shape the best marketing strategy for Aquiris and all of their self-published titles. Coordinate with a team of two audiovisual producers / graphic designers to shape the best materials for promoting the game. Work hand in hand with the studio Game Master. Social Media management. Interacting with the fans on Twitter and Facebook. Promotions with youtubers, press and streamers. PR work for Spain, Portugal and Latin America. Forums management and moderation, solving any questions to players and keep the good mood. Support the development team with bug/suggestions tracking and management. Recruitment and management of a closed testers group and keep a constant communication with them. Do weekly reports along with the testers of which bugs / suggestions should be prioritised by the development team. Test the game on a regular basis and keep the wiki updated. After years of waiting, the world has got the definitive streaker simulation experience. A roguelite beat’em up, with procedurally generated chaos and permadeath goodness! The story of Crazy Pixel Streaker starts with you right in the middle of the World Cup Final. Security forces’ inefficiency will end up making the army show up among the crowd, unleashing their fire power on you. Suddenly, something completely unexpected happens: a UFO comes from out of nowhere and abducts you, the streaker. Your mission is to help those nasty and selfish aliens get the cups from different competitions; that way, they can win their sports bets. For this, you’ll travel all round the world, “jumping” into all kinds of sports stadiums and facing all sorts of enemies and hilarious bosses. Contacting press, students and youtubers, inviting them to play the game and meet the development team (video1, video2). Presenting the game in events both in Spain (Quedadas Informales de Videojuegos) and abroad (GDC 2015) to help the studio in the search of a publisher that fit its needs. Contributing with original ideas about how to market the game. PR Steam Greenlight campaign (2 weeks). 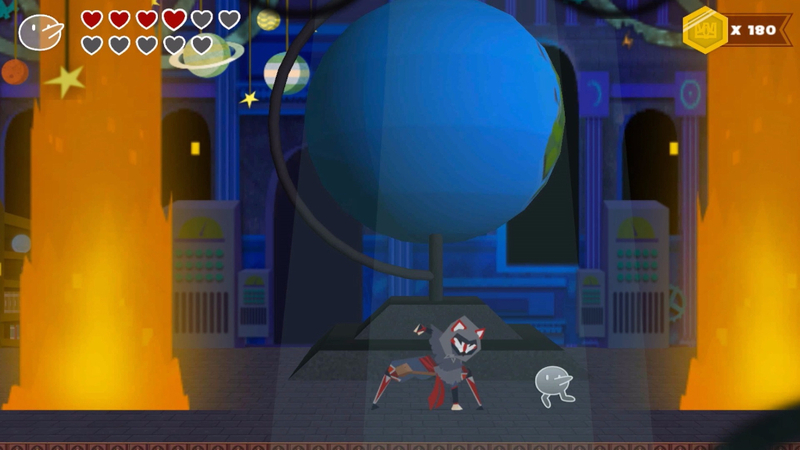 Starlit Adventures is an original platform-adventure game designed especially for touchscreen. It brings hours of fun with great controls, unique characters, beautiful visuals and a wide range of gameplay mechanics to deliver a valuable and memorable experience. The game tells the story of the inseparable Bo & Kikki and their quest to restore peace to the star-nosed “starlits” after Nuru steals their sibling stars from the sky. During the game, players will lead the pair through eight worlds, using nine special suits with unique abilities to solve puzzles, face enemies, and defeat bosses in order to recover the missing stars. It is also possible to collect and exchange stickers with friends, compete online in rankings, and see who can go farthest in the Infinite Tower mode. May 2015: PR work for Starlit Adventures soft-launch (Google Play and Apple Store) in LATAM, New Zealand and Australia (more than a million players). November 2015: PR work for Starlit Adventures worlwide launch (Google Play and Apple Store), focusing on North and South America, Australia and New Zealand. 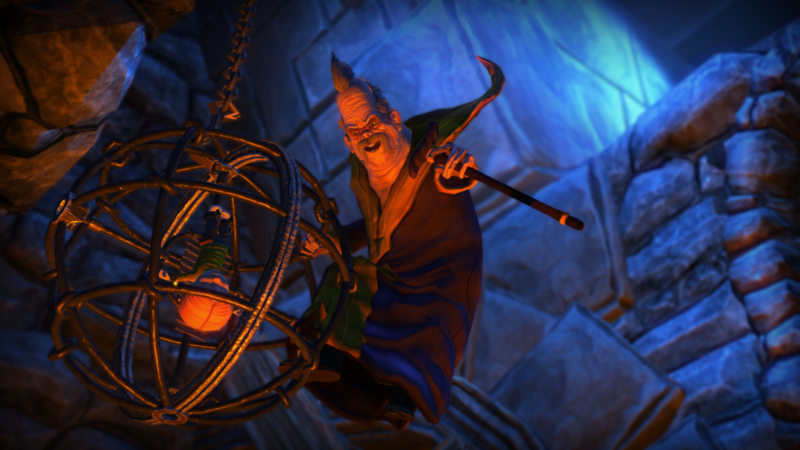 Experience the mysterious, timeless world of Toren, the first adventure game from Brazilian indie developer Swordtales Studios. You are Moonchild, destined to climb the tower (known as Toren) on a hauntingly solitary journey to find your purpose. You must solve puzzles and face monsters as you struggle to climb to the top of this beautiful, yet treacherous environment, driven by the will to find your freedom. Event showcase and PR work at A MAZE Indie Connect Festival 2013. 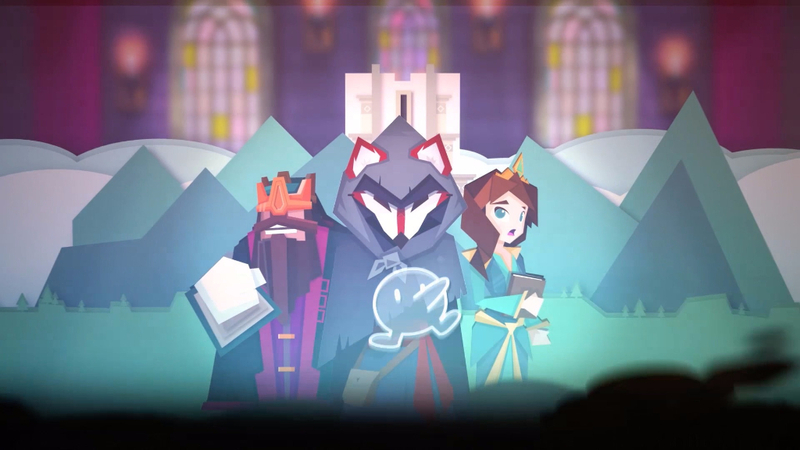 -Showcasing and gathering feedback for their title “Toren”​ at The AMAZE Indie Connect 2013 during 2 full days (20 hours). Test your skills in this addictive and extremely easy to control arcade game. SPINRUSH (2014, Lubiterum Game Studio) sets you in a frantic race against the clock where you have to destroy as many discs as you can. But be careful! The discs you shoot must have the same color as your ship. You may find it easy, but the discs will spin faster and faster ’til it becomes a total challenge for the human eye! Then you’ll get more and more hooked while you fight for a new high score. PR and Social Media work for Spanish studio Lubiterum. They launched SPINRUSH, their first mobile game on the Google Play Store. Attended several national (Gamepolis Malaga 2014) and international events (Gamescom Europe 2014) where I introduced the game to relevant developers, press and youtubers. March 2015: Greenlight PR campaign for Ubermosh (14 days), a top-down beat’em up arcade game about cutting bullets with a sword, by Walter Machado. The cycle of wishes is a sacred ritual for the people! It is where you give out wishes for them. During many cycles peace reigned in your lands, but everything changed when Ivo Magenta made his last wish. Now, disaster emerges, and you have to sleep until the next cycle. When you wake up, everything depends on you! Use your finger to shoot him and his minions down with weaponized wishes, the world’s order is now in your hands! Literally! Magenta Arcade is a finger-based top-down shooter. In other words, it is a top-down 2D shooter where your “ship” is your finger. Know when to touch the screen to attack or retract and hide to defend yourself! Marketing plan and communication strategy.